valves have many functions. Different valves should use different valves. Different types of valves have different configurations, and these functions are effective means to control the process and ensure safety. 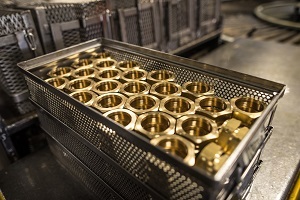 valves are generally divided into automatic valves and drive valves. 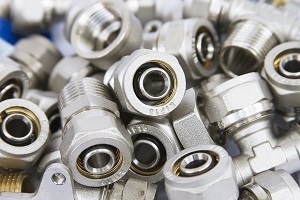 Automatic valves (such as safety valves, pressure reducing valves, steam traps, check valves) rely on changes in the pressure of the device or pipeline medium to achieve the purpose of opening and closing. The driving valve (gate valve, globe valve, ball valve, butterfly valve, etc.) is regulated by the driving device (manual, electric, hydraulic, pneumatic, etc.) to regulate the pressure, flow and direction of the medium in the pipeline. Due to the different pressure, temperature, flow and physical and chemical properties of the medium, the control requirements and the use requirements of the device and the piping system are also different, so the functions of the valves are also different. The gate valve is used as a cut-off medium. When the valve is fully open, the entire process is straight through, and the pressure loss of the medium operation is minimized. gate valves are generally suitable for applications that do not require frequent opening and closing, but also keep the shutter fully open or fully closed. Not suitable for use as an adjustment or throttling. For high-speed flowing media, the gate can cause vibration of the gate under partial opening conditions, and the vibration may damage the sealing surface of the gate and the valve seat, and the throttling will cause the ram to be eroded by the medium. The valve stem has a relatively short opening or closing stroke and a very reliable shut-off action, making this valve ideal for use as a medium for cutting or regulating and throttling. Once the shut-off valve is open, there is no contact between its seat and the sealing surface of the valve plug, so its sealing surface is less mechanically worn, because the valve seat and spool of most shut-off valves are easier to repair or replace. It is not necessary to remove the entire valve from the pipeline when sealing the assembly, which is very suitable for the case where the valve and the pipeline are welded together. The shut-off valve should pay attention to the flow direction of the liquid during installation (so that the liquid flows from the bottom to the top through the valve, generally using "→" on the valve body to indicate the flow direction). The butterfly valve is simple in structure, small in size and light in weight, and consists of only a few parts. Moreover, it can be quickly opened and closed by only rotating 90°, and the operation is simple, and the valve has good fluid control characteristics. When the butterfly valve is in the fully open position, the thickness of the disc is the only resistance when the medium flows through the valve body, so the pressure drop generated by the valve is small, so it has better flow control characteristics. The butterfly valve has two types of sealing: elastic sealing and metal sealing. Elastomeric sealing valve, the sealing ring can be mounted on the valve body or attached to the periphery of the disc.